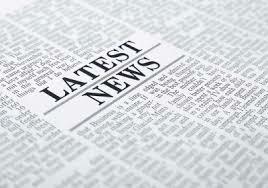 Knightly News Now on our App! Knightly Newsletter now on App! Knightly News on the Council App! 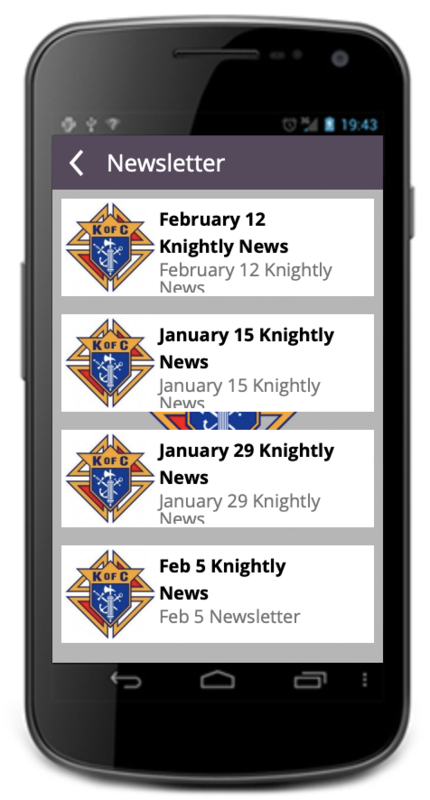 Now you can just go to you phone and access all of the recent Knightly Newsletters! It is easy to install...go to you App Store (iOS or Android), search Knights connects, install (it's free), search '4588' and you will find Father Patrick Power council, select that one and you are done! The Newsletter is under, you guessed it, "Newsletter". Enjoy! From March 6 to April 14, 40 Days for Life will be happening in Walnut Creek … part of a groundbreaking, coordinated international mobilization. We pray that, with God’s help, this will mark the beginning of the end of abortion in our area — and beyond. Lent is near and that means Fish Taco Fridays are back! This one of the most fun things the council does for the parish! Sign up for as many weeks as you can help. We are expecting another year of great attendance! Tickets Available Now for this All Hand's Event! 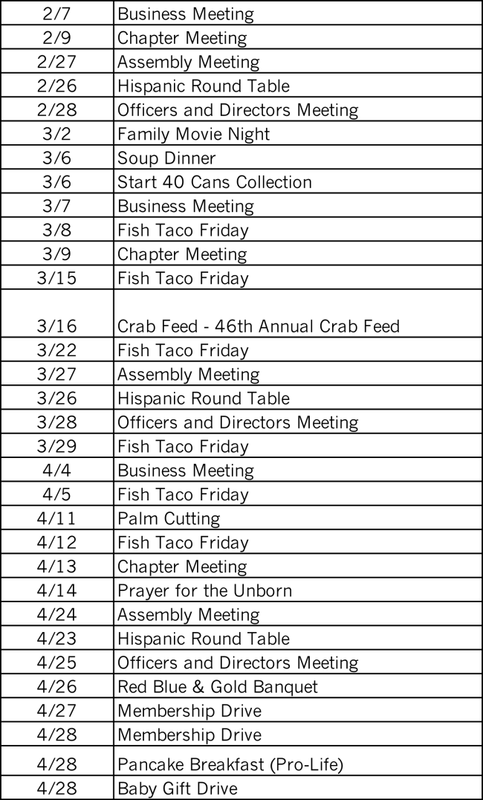 Crab Feed Planning is moving ahead but still needs some help with planning and with day-of-event activities. Many jobs are for pre-event preparation if you would prefer to enjoy the dinner on the day of the event. Other jobs are during the event if you just like throwing a big party...there something for everyone. ﻿Click below and pick what matches best with how you would like to help. Don't Pay Movers - Donate your valuables to the Knights for the Charity Auction! With the current exodus from California, it seems that many good men and women are wasting valuable time trying to figure out what to do with their material possessions... are you one of these people? Or maybe you know someone who has even better stuff? If so, I ask you...why waste time on movers? 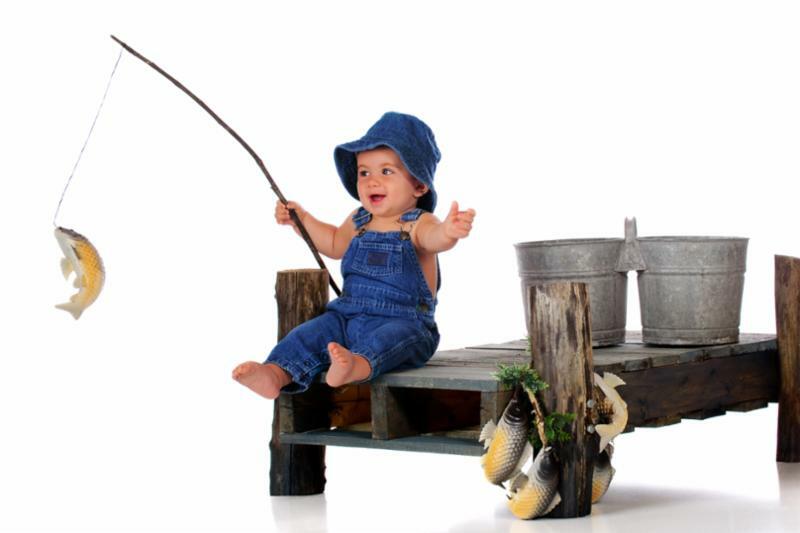 Donate those valuable items that you aren't going to use anyway in your new life. 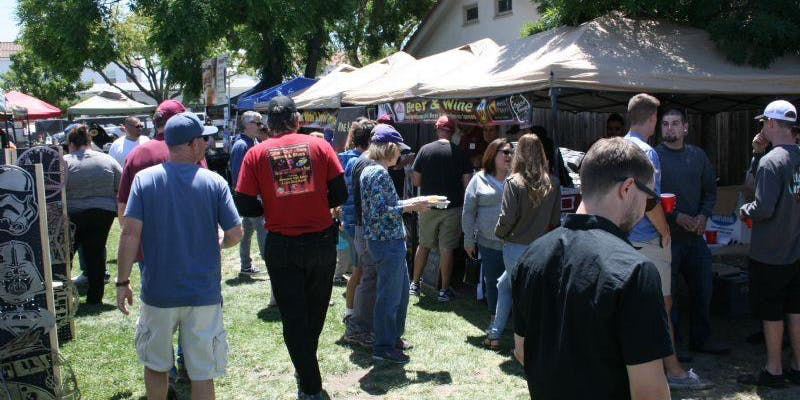 Donate them to the Livermore Knights so they can auction it off to someone who will pay a lot to enjoy those things that you have enjoyed for so long but can't take along! 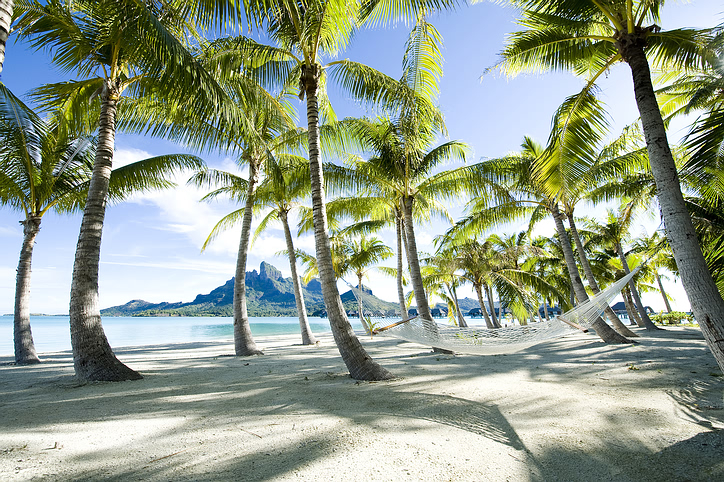 Think of it as a rejuvenation for your valuable things! AND...BEST OF ALL - It is for your favorite cause!! 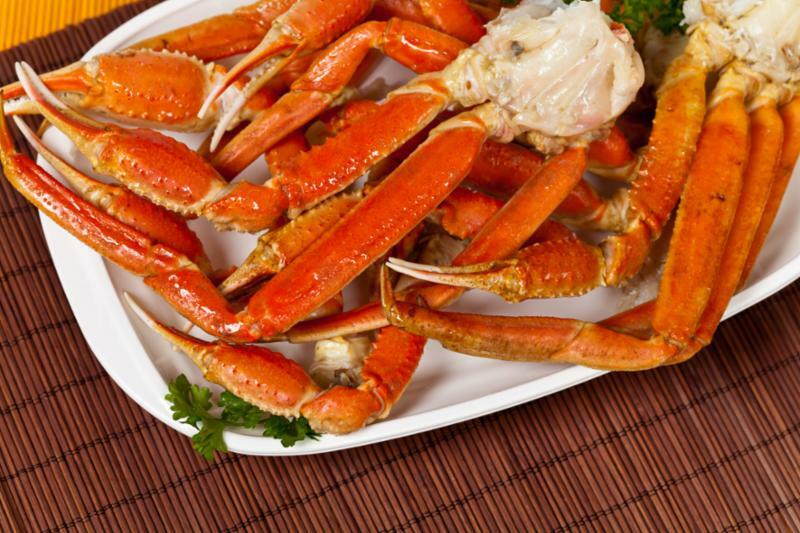 Our Crab Feed fundraiser is coming up in the Spring. This is one of our two big events that supports our charitable activities and we need great items to raise funds. If you have sporting event tickets (sports, performances), condos, timeshares, art, jewelry, services, please consider making a donation to the council and we will use it to raise funds during the auction. If you would like to purchase a sponsorship of the event as marketing for your business, those are also available!! If you know someone who has valuable stuff and loves to support great organizations, talk to them! Get them to DONATE! If any of the above apply, please contact Anthony Contarciego right away...he is waiting by the phone right now. It is amazing to see how well things are progressing already with the RCCBB - it is going to be bigger and better than ever. It will also need even more help. Come to the business meeting on Thursday to learn more about the status and to see how you can help. Rita and Pat Brown, who are St. Michael’s parishioners, are collecting tools for people who lost them in the Paradise Fire. Rita’s father, James Happe, died a little over a year ago. He was a Knight and Rita was the beneficiary of his insurance policy. Brother Chuck Bellavia will collect any tools brothers want to donate on Thursday evening at the Council meeting. If anyone wants to deliver their tools directly to Rita and Pat, they live at 2718 Chablis Way in Livermore Tools may be placed on their front porch behind the low brick wall. They accept any tools including gardening tools. This assists workers to earn a living. Brothers should contact Chuck Bellavia with questions. 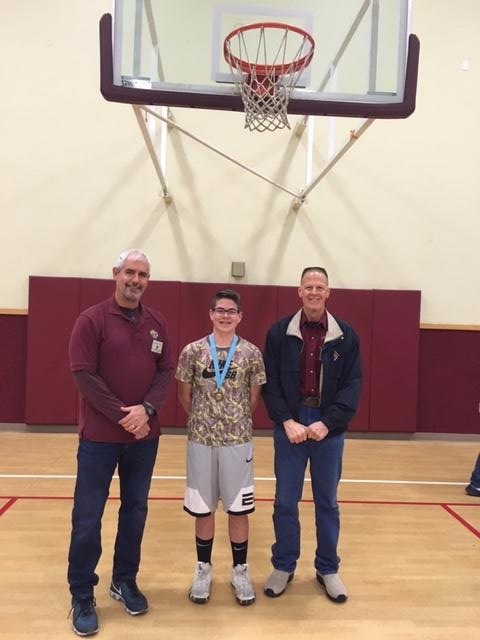 Michael Maloney moved on the the next level of the Free Throw Competition after shooting 84% at the District Level competition in Pleasanton on Sunday afternoon. He will move on to Regional in Clayton next month. Congratulations Michael. Cash prizes were awarded to the students who were judged to have written the best essay at each grade level during a special recognition ceremony at the February 7 school-wide assembly. The first-place winners were (Kailey Gandolfo 5th grade), (Lela Gallo, 6th grade), (Josephine Gallo, 7th grade) and (Amira Sain, 8th grade). 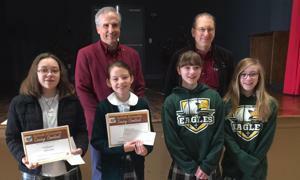 These students’ winning essays are submitted for competition at the state and national levels. Our condolences to brother David Parks and his his wife Natascha on the loss of his mother-in-law Margaret Bunschus, who lived in Germany. Please pray for the repose of her departed soul and for Dave and Natascha. 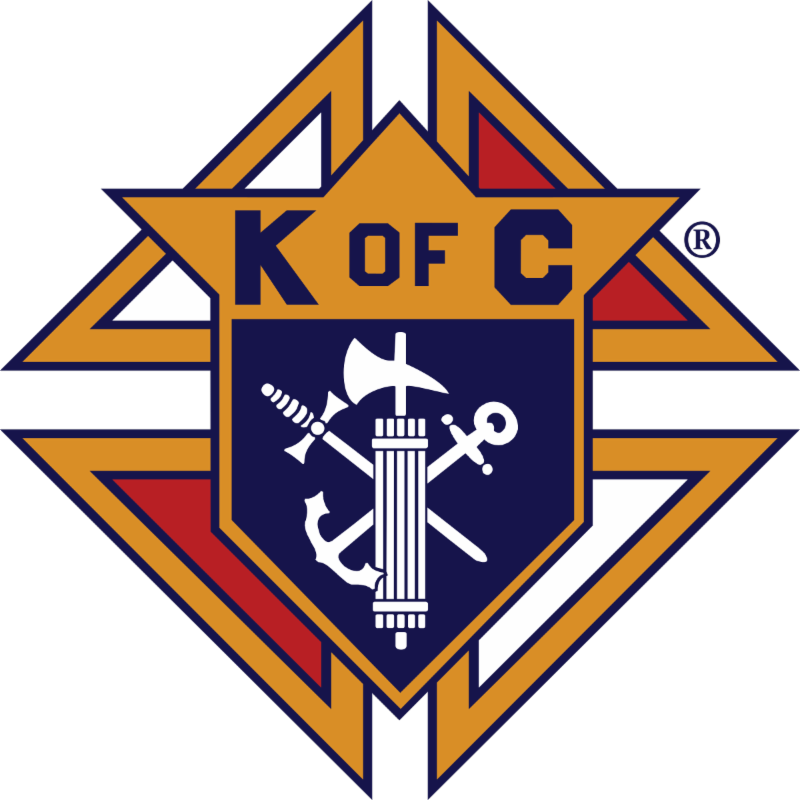 K of C Scholarships available - March 1 deadlines!! It is that time of year where we start reviewing finances ... and it is very important not to overlook the excellent benefits available from the Knights of Columbus. Our worthy Field Agent, Jeffrey Carvalho sent a message, below. We will be having a benefits night in the near future (Date still TBD) so that you can discuss how to secure you family's financial future using KofC financial benefits designed to help protect our brothers' and their families. 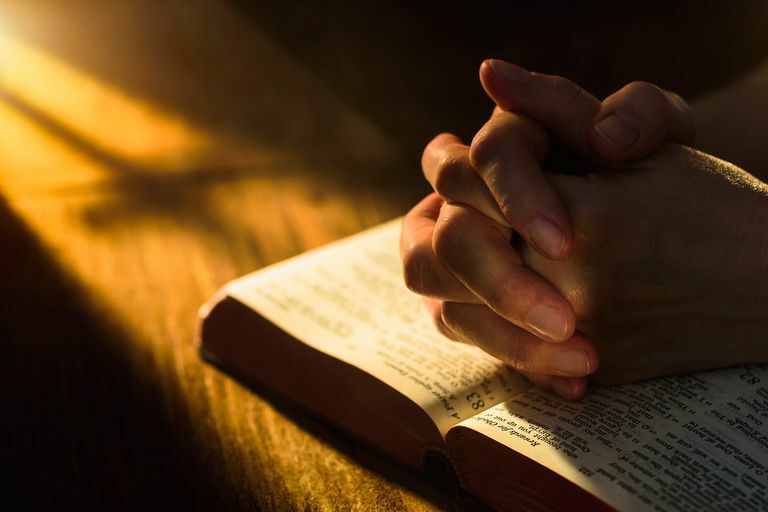 Pray for the repose of the departed soul of brother Dave Parks' mother-in-law, Margaret Bunschus who recently passed away. Pray for the repose of the departed soul of John Sarboraria, father of brother Knights Anthony Saboraria, who recently passed away. Brother Chuck Harding who has suffered a back injury. Pray for the repose of the soul of Cynthia Keifer's father, Lee Hargrove, who passed away on Jan 3. Cynthia is the wife of PGK Patrick Keifer. Brother Ruben Velazquez who will require surgery for his medical condition. Pray for the repose of the soul or Laurie Vavuris, mother of Brother Knight Robert Vavuris. May she rest in peace. Brother Abe Quinones - getting treatment for pre-cancerous virus that was caught early. Thank you for your earlier prayers. Philip Chukwu, Brother of Columba Chukwu - Who has received cell treatment and is now on chemotherapy with good prognosis. Keep the prayers coming. Cristopher Carrano's mother, Elizabeth, is still on dialysis and in need of a kidney transplant. Please pray for the location of a viable and willing donor and for her recovery. Knightly News and business meeting minutes online and on the App! Did you know that the Knightly Newsletter and Business Meeting minutes are archived and available at LivermoreKnights.org? You can go back and check all of our activities with the click of a mouse and now a tap on the phone (see note above). Some of the custom embroidered shirts were distributed this week. If you would like a limited run "2018 CA Council of the Year" cut-n-sewn shirts that can be embroidered with your name (and title, if you like). You can email me with you order - just send your name, phone number and how you want your name on the shirt. Price is $30. There are some "2018 CA Council ..." Shirts without names that you can purchase as well ($30). We have polo style shirts ($20) and hats ($10) available as well. ﻿ So Jesus came upon a crowd who were about to stone a woman. He looked at the crowd an said “let the person who has not sinned cast the first stone"
Shortly after saying this a woman came out of the crown and hurled a stone.